Often in the world of gaming, the titles themselves get all of the hype. We spend hours, days, weeks and months breaking down games that are going to be released sometimes not even in the same calendar year as our news. To a lesser extent, we also get excited about certain accessories and peripherals. While everyone can get excited about that new game coming out or a fancy new keyboard that had amazing response, an overlooked aspect of gaming is comfort. How comfortable is it to hold that controller for several hours? Do your wrists hurt because your keyboard and mouse might not properly fit? 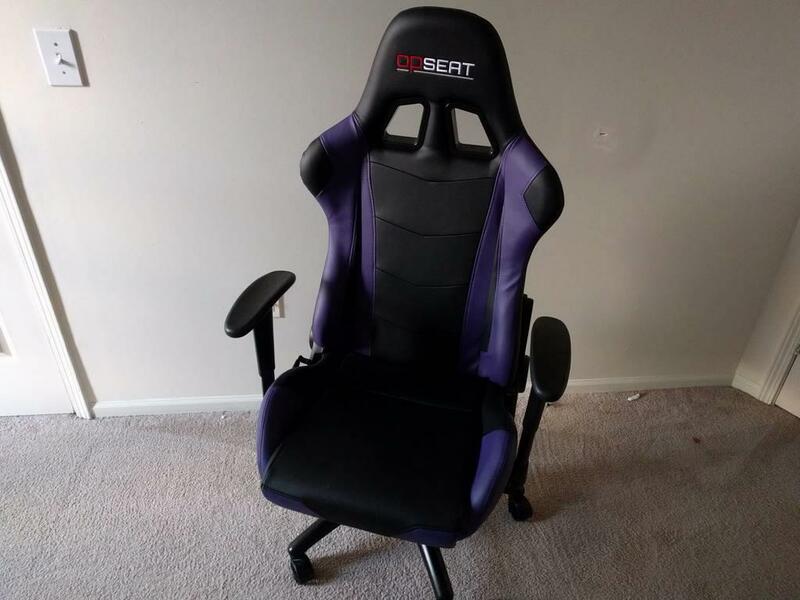 And possibly the most important of all: How is your back doing on that nine year old chair you swore you would replace but never got around to it? 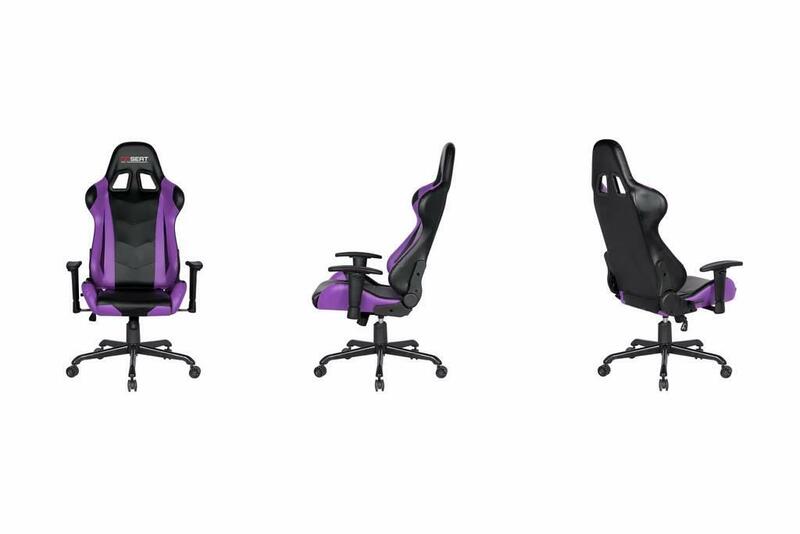 Gaming chairs, like almost every other gaming peripheral, have a wide variety of options. Finding one that is not only comfortable but also hits the sweet spot with your wallet can be an incredible challenge. 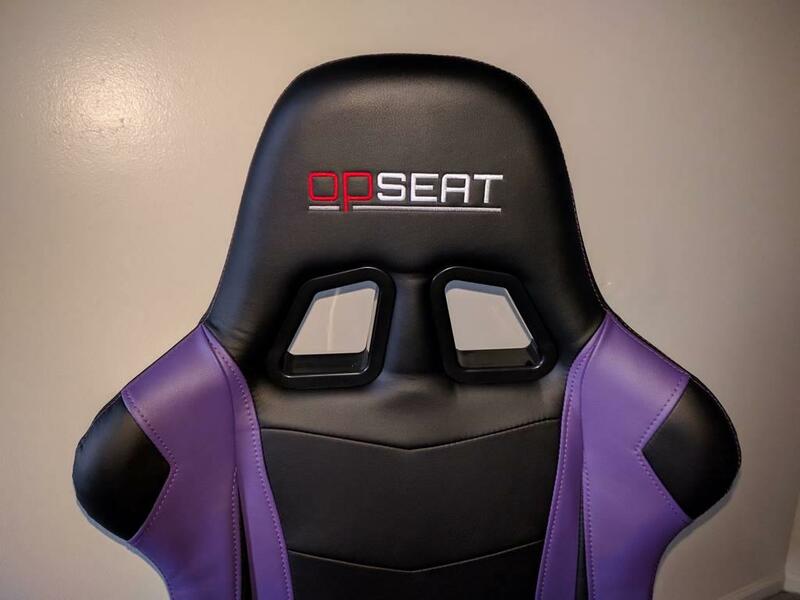 OPSeat are helping to make that a reality with their Master Series PC Gaming Chairs. 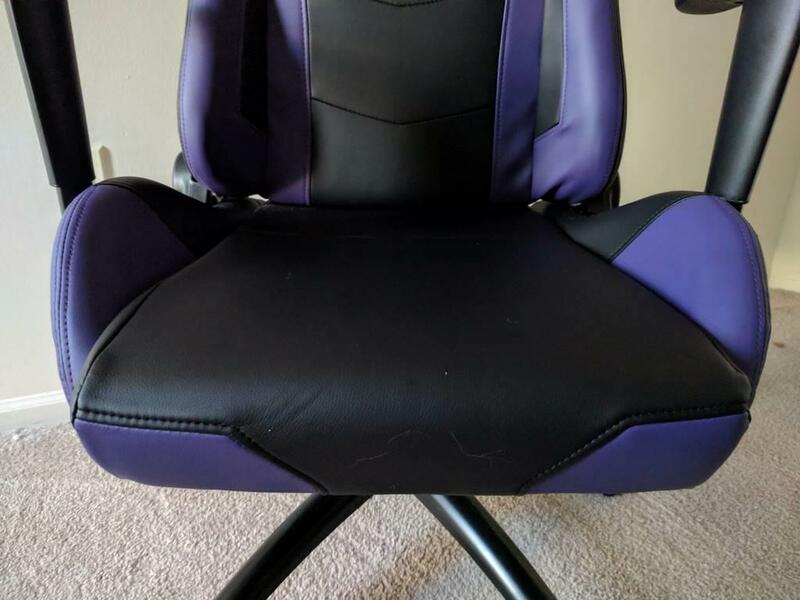 My background of chairs that I’ve used with my various computer setups have ranged from “poor college student using a kitchen chair” to your standard office chair with cushioning. In between I’ve had some half decent chairs and some that have lasted just a couple of months. Prior to this review, I had a Merax office chair that was ordered from Amazon. It was fine but the cushioning and back support left a lot to be desired. 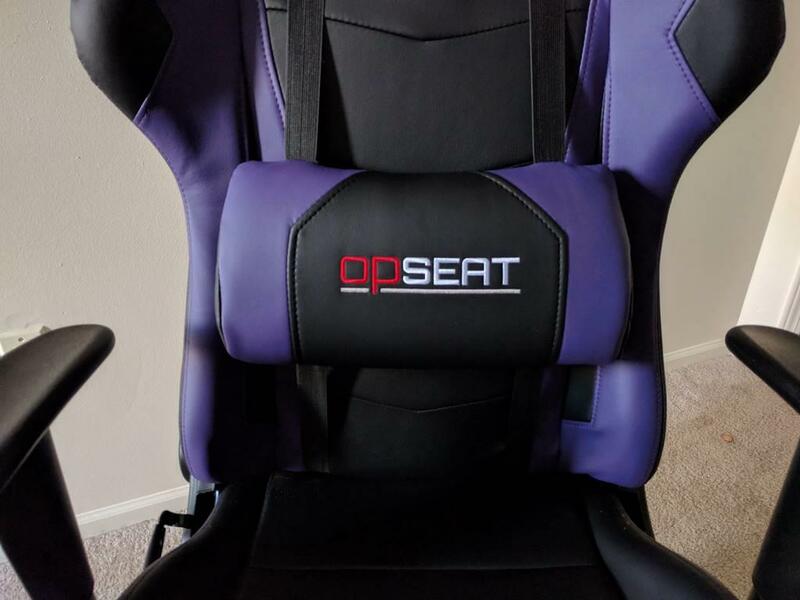 OPSeat’s Master Series solves both of these issues with solid cushioning for sitting and a lumbar support that is adjustable from the very small of your back up to just below the shoulder blades. As someone who has some minor back issues, this support pillow is a godsend. I will warn you that if you feel the need to remove it, don’t just yank on it: Those straps and latches hurt when they have speed. I may or may not have bruised one of my fingers badly by trying to pull the pillow and straps out. 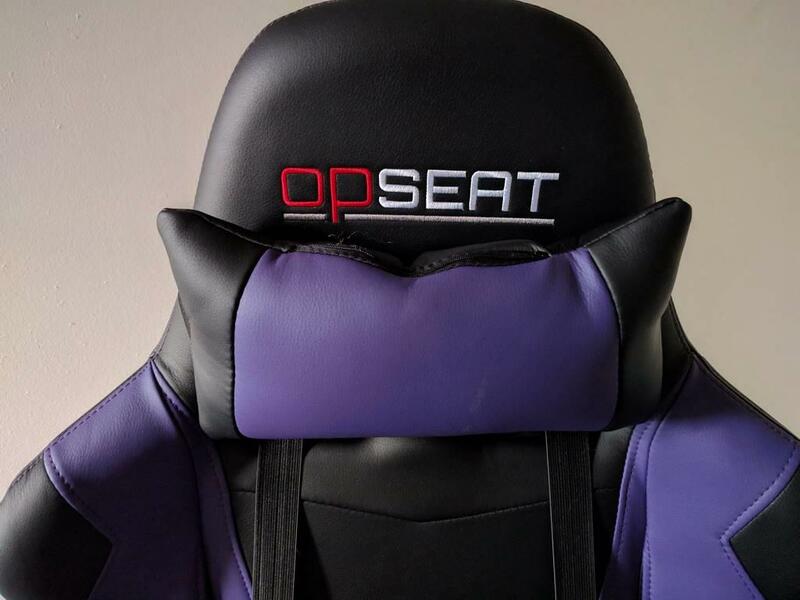 The lumbar support is coupled with a head pillow that easily wraps around the top of the seat, providing plenty of comfort if you need to sit back and relax. I will say that it’s weird to have both the back and head support at once, though, as I felt like I was being pushed off the edge of the chair. I essentially alternate between the two supports depending on the day. The pillow is much better when I need to recline, which the Master Series does exceptionally well. I was a little hesitant to put it all the way back at a flat 180 degrees, but the chair had no issues holding me up. I’m 240 pounds and the seat has a hard limit of 300 pounds. There was no creaking or sounds like the seat was struggling to hold whatsoever. Assembly of the chair took around 20-30 minutes with no assistance. All of the screws and tools are provided in the box, though finding powered tools for the hex screws certainly will speed things up. The actual process wasn’t terribly difficult, but a couple of the holes on the back part of the chair weren’t perfectly centered and required some creative angling in order to get them in place. It wasn’t anything more than 1/8th of an inch, but that can be the difference between having a fully functional chair or one that’s angled. I’m happy to say that this was the only hiccup and that it was rectified with a little elbow grease. The armrests were my biggest concern with the chair as I thought they would be a tad flimsy from the promo pictures I had checked out prior to receiving my chair. This isn’t the case as the arms are quite sturdy and adjustable in a few different positions. I tend to have to keep mine down as the full extension prevents me from getting up close to my desk. The seat itself is adjustable by three inches, with the lowest setting being 18” off the ground and 21” at it’s peak height. The seat provides plenty of support and comfort, though I found myself not sitting wide-legged as much due to the small lips on the sides of the seat. It was a minor annoyance at first but it’s also helped me sit properly in the long run. So the big question that hasn’t been discussed is value for the cost. The Master Series retails at $249, though the site itself has run a couple of sales since I’ve received my chair, going down as low as $199. Even at full price, it’s a fantastic value for what you are receiving. 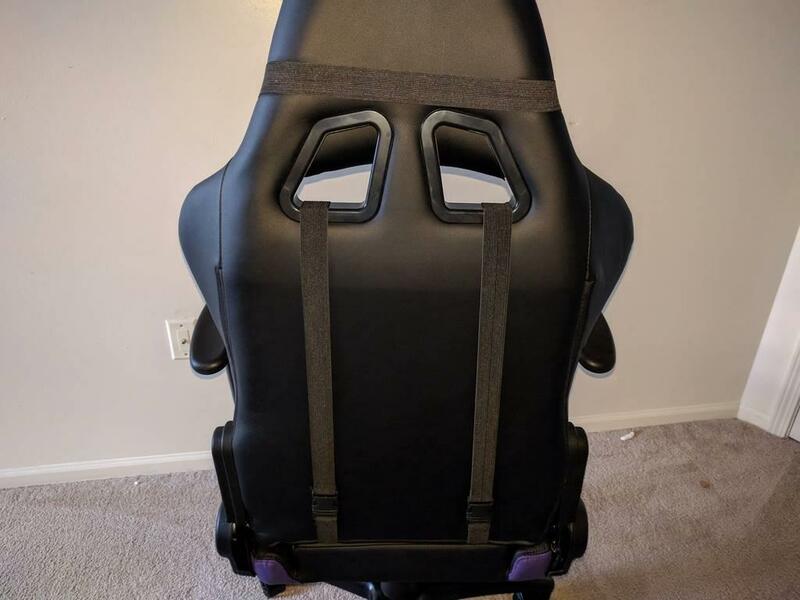 I’ve used it extensively for long sessions of 7 Days to Die, Rocket League and Civilization V recently and I’ve never felt like the chair is causing any soreness, cramping or anything that is deemed uncomfortable to me. My only real gripe is that I wish the seat was a tad wider because sometimes I just like to stretch out and have a wide stands with my legs. The lips on the seat that I referred to earlier kind of prevent that, but it’s something I can certainly live with. A simple search to compare pricing on various sites shows that the $199-$249 range is very competitively priced, given that other sites like DX Racer goes as high as $349 depending on the model and sale. At that price range, there may not be a better option out there. A comfortable seat all around with adjustable back support and a head pillow, the Master Series is everything you're looking for in a gaming chair without taking a big hit in the wallet.